NEW YORK -- Becca started the week with her first official date since Arie, which would be a group date! The guys were at the mansion, having fun and waiting for Chris Harrison to stop by to drop off the date card. It read, "Clay, Nick, Chris R., David, Jean Blanc, Jordan, Connor, Lincoln, I'm ready for my big day." The guys met up with Becca and she took them to change into tuxes. She couldn't help but watch them change! Of course, male model Jordan had to show them how to strut on the runway. They all looked great! Once they were dressed, Becca took them outside to meet up with Rachel and Bryan from last season's "Bachelorette!" 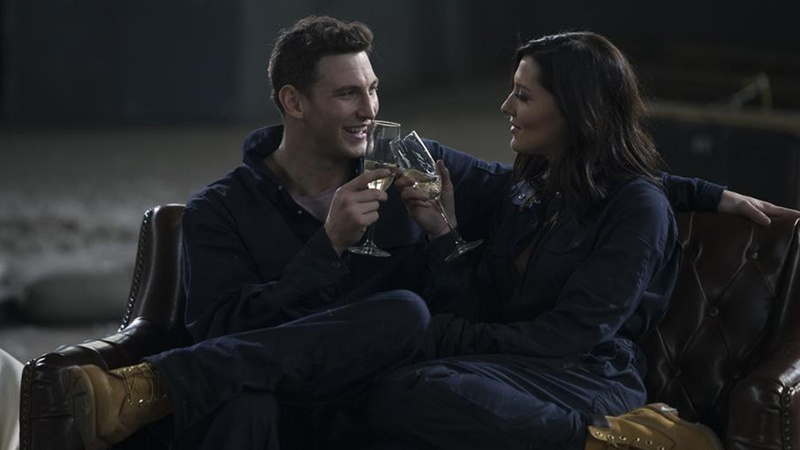 They are still happily engaged and hoping to help Becca find her man! They inform the men that they will be competing in an obstacle course called, "Groom's Day." The guys had to drag a ball and chain, stand in cold water while an hour glass ran out, they had to run up a slippery slope, crawl through mud with a bouquet, and then find wedding rings in a wedding cake with just their mouths! Once they did that, they had to crawl to Becca and propose. The guys had a rough time on the slippery part of the course, but Lincoln was tearing it up! He won, he kind of cheated by using his hands on the cake which made Connor mad, but he was not going to lose! Lincoln stole Becca away for a conversation right away and she was wearing a stunning red jumpsuit. He told Becca how badly he wanted to win for her. Lincoln told her that he feels that he's his best around her because he is so comfortable around her and he can be himself. Meantime, the guys were hating on him. They think that he's not in it for the right reasons. 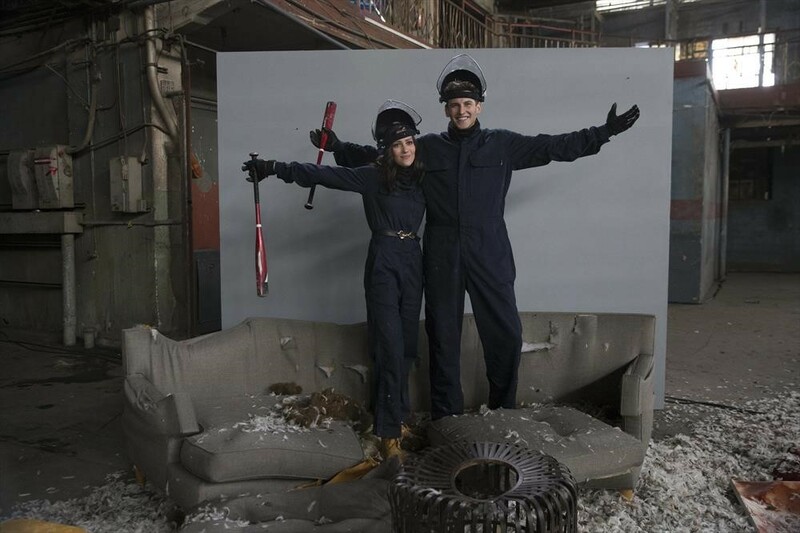 Becca gave Lincoln their "wedding photo" from the obstacle course where they are covered in mud. It made him really happy. That picture made the rest of the guys furious. Connor laid it down! Lincoln kept carrying on about the photo and bragging in front of the guys. Connor threw the photo once, Lincoln put it back, and then Connor picked it up and launched it into the pool! Lincoln called the move "classless" and he didn't think Becca would appreciate it either. Meantime, Becca had a great conversation with Jean Blanc who she said makes her feel really good with his positive energy. He went in for the kiss and she was happy to go along with it. Lincoln tattled to Becca about Connor the first chance he got. Becca went and spoke to Connor about why he threw the photo. Becca told Connor that she wants a man that's respectful without drama getting in the way. She told him that she needs a break from their conversation and that really embarassed him. Connor realizes he might be going home because of his behavior. 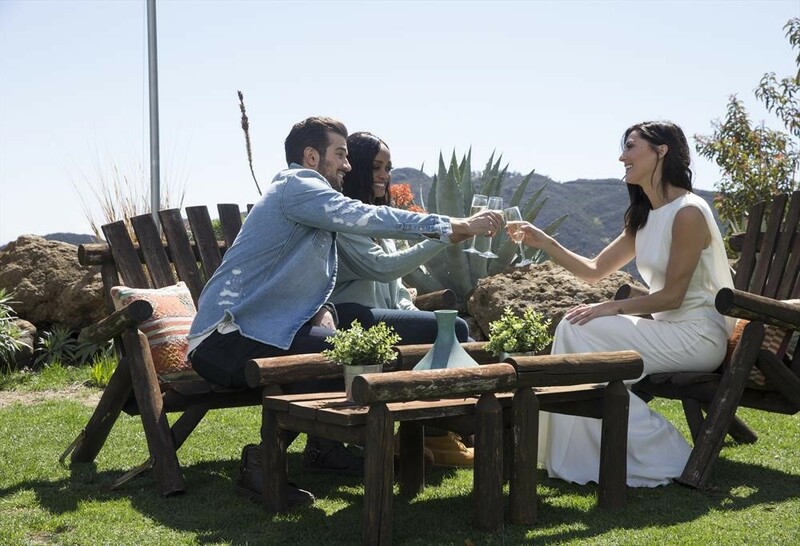 Becca decided after everything that happened to give the date rose to Jean Blanc! That will teach the other guys to avoid the drama hopefully. The next day, the guys were laughing about how Lincoln cried about how his photo got wet. Jordan wants to take him down. All of the men think he's not in it for the right reason. A date card arrived and it was for Blake! It said, "Let's lose control." It's the first one-on-one date of the season. Becca and Blake drove off in a limo, but ended up at a warehouse. Chris Harrison met them with a sledgehammer outside. She sent them inside to one of those smash houses. You can beat your anger away. It was the couch that Arie broke up with her on, a racecar with an Arie, Jr. license plate, and TVs playing his proposal to her over and over. Lil Jon met up with them inside and told them they could just smash everything! 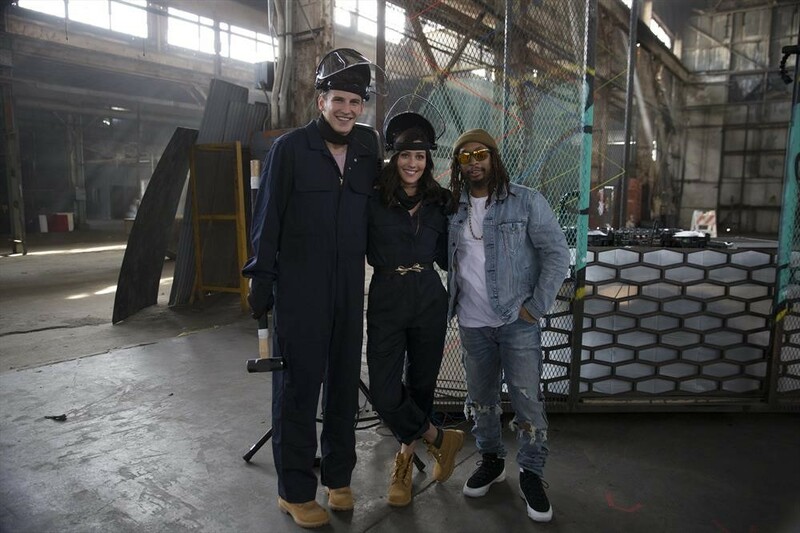 Lil Jon played some music and rapped for them as they tore everything up! Becca had the best time ever. How amazing to get to destroy stuff as Lil Jon raps "Turn Down for What." Amazing. Later that evening, Becca and Blake had a romantic dinner in Warwick. It was beautiful! They had sore arms from destroying all of the stuff earlier in the day. Becca talked about how she felt so much more like herself on this date than she did last season. He revealed to her that he fell in love with his ex just two months in. He thought they would end up married, but he saw texts that her friends sent her asking her when she was going to break up with him. He says he knows what he wants now and knows that he's ready to fall in love and knows he can do it again. Becca offered him the date rose and he happily accepted. They seemed to share a great connection. Becca pulled him in for a passionate kissing session before he left for the evening. The last date card was for Garret, Rickey, John, Ryan, Alex, Chris, Trent, Leo, Wills, and Colton. It said, "Love comes at you hard and fast. Jason and one other guy didn't make it on the date. That's so tough for them. They need to depend solely on the cocktail party to make a connection. A school bus showed up and took the guys to a nearby school where they played dodgeball with some little kids! They taught the guys some drills and were really tough on the guys! Then the guys played some dodgeball against each other. After they played at the school, Becca told them they would be playing at an ultimate dodgeball championship. Fred Willard was even there to help Chris Harrison with the play-by-play. The green team won and Leo was the last man standing on the pink team, and he really did his best! That evening, the guys joked about whether they needed to hide the trophy from each other after the photo fiasco with Lincoln. They all played it cool though and just wanted to talk and get to know Becca better. She had a great time talking with Garrett and told him that he keeps her on her toes. Wills moved in for a kiss after he got emotional talking to Becca about his family. He was a gentleman and offered her his jacket to wear. Colton meantime revealed to the other guys that he dated Tia for a brief period of time. He's worried because Tia was friends with Becca last season. He did come clean and let Becca know that he had dated Tia right before the show. Becca said she didn't know how to feel about it because she really likes him but Becca called it a very "tricky situation." Becca said she was excited about him but now she's not sure. There was a great chance Tia would be the next "Bachelorette" before Arie dumped Becca. She's worried Colton applied to date Tia and not her. She decided to give the date rose to Wills. Becca went into the cocktail party a bit bummed out. Clay stole her away to teach her a bit about football but then went in for a kiss. It seemed to work! I think he helped lift her spirits a bit! One guy wrote her a poem, another got her laughing. Connor did his best to turn things around and took a photo of himself to destroy and he had Becca throw it in the pool. YES! Jordan stripped down into his undies, tiny undies, and went up to Becca! The guys couldn't believe what was happening! Then he told her that he didn't want her to misinterpret him as 007 all the time. What?! Becca said that she was surprised! He says he just wants to be him. He talked about wanting a son named Jordy J-wagon that he can give an ice cream cone. It was bizarre. He even showed off his looks "Zoolander" style for the guys. David told him that he was disrespectful, but Jordan disagreed. Let's face it, David is just bent out of shape that his time got interupted with Becca. Boo-hoo get over it. Ironic from the guy who wore a chicken costume on night one. Colton finally went over to check in with Becca and how she's feeling about his past dating history with Tia. Becca said that she's very attracted to him, but she doesn't know if she wants to invest into the relationship because she has no clarity on the situation. So how does she go forward? I mean, you have to just pick a direction and go with it, keep him and get to know him, or send him home! 16) Jordan (YES!) He told her to put the rose between his cleavage, haha! That meant that Trent, Alex (who cried! ), and Rickey were eliminated. 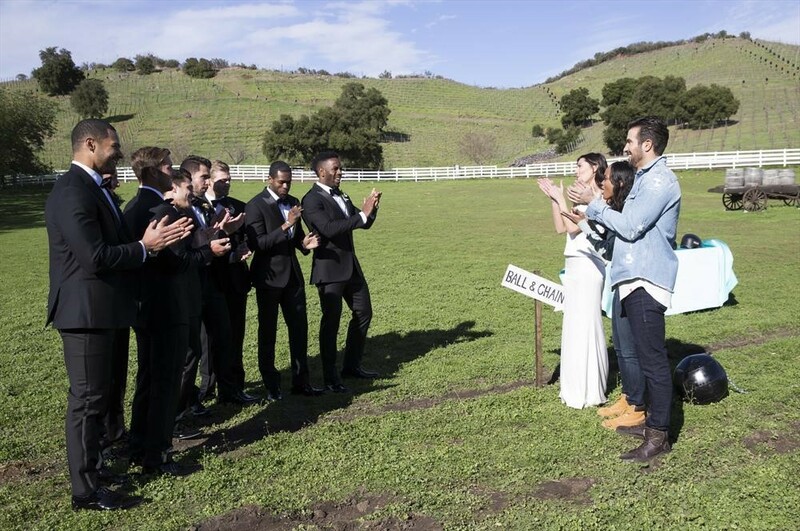 Next week, Becca will play football with the guys as she starts to make a deeper connection wtih some of the guys and some frontrunners seem to emerge. Colton will see Tia again and also her friends from "The Bachelor." Someone gets physically hurt and needs an ambulance, but who is it?